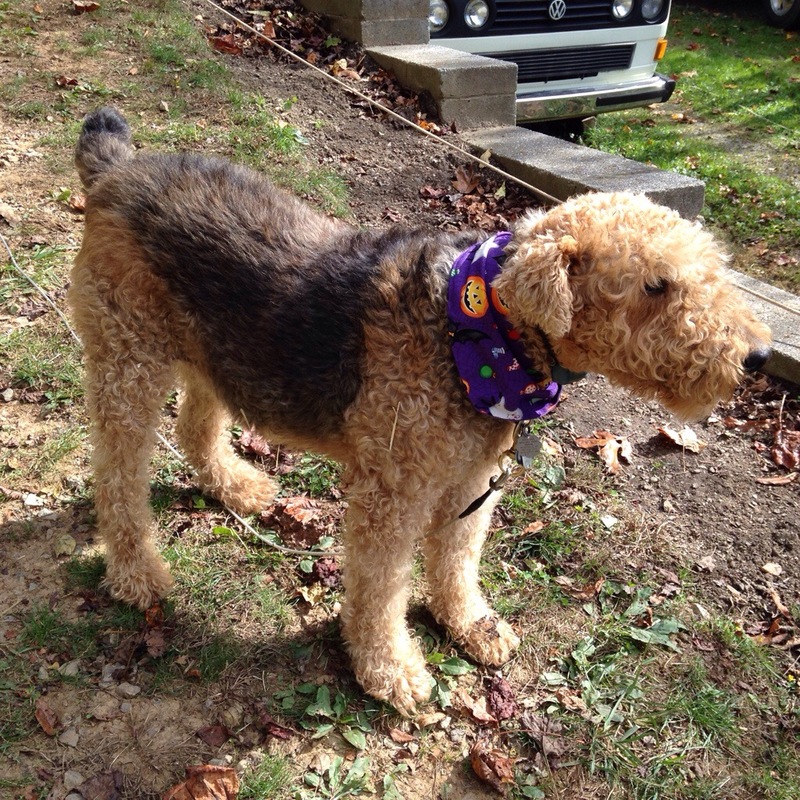 Sophie is one talented Airedale. She can sit up and she can wave – imagine what else she can do! She can perform a great sit, wait and she will sit with front paws off the ground for her treat She would do anything for you – just work with her, train with her and she’ll delight you. She has lived inside and always been with her family. Sophie is a great walking companion. She walks 2 miles a day. She could lose a few pounds so she needs to keep up her exercise routine. 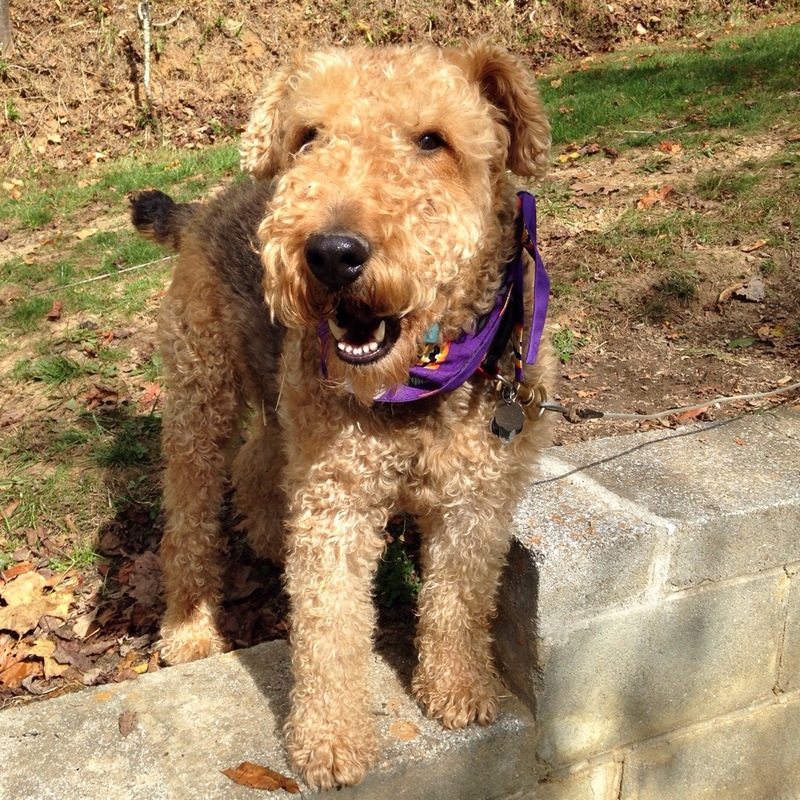 When not on leash, Sophie needs a fenced yard for her energy levels. She is loves to play, run and burn off energy. Sophie has a high prey drive. She would not be appropriate for a home with small animals, livestock. No cats. Sophie is estimated to be 6 years old. She weighs 65 lbs. She is up to date on shots, heartworm negative, microchipped and spayed. Sophie needs someone who is patient with her as she is frightened of fireworks and thunder.